It’s that time of the year again. In honor of the Burning Man festival beginning today in Nevada’s Black Rock Desert, we’d like to answer a few common questions about this special event. What is Burning Man and where does it take place? When does Burning Man take place? Burning Man begins the week prior to Labor Day and runs through the Labor Day weekend. 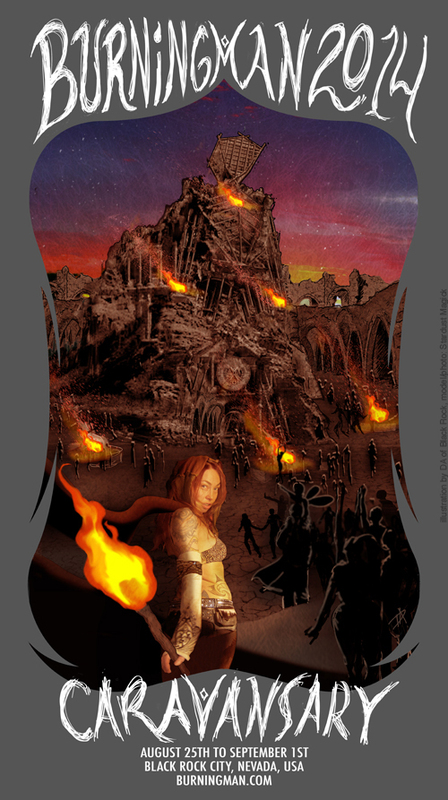 In 2014, the Burning Man dates are Monday, August 25th to Monday, September 1st. estimated $55 million in economic impact to Northern Nevada, up from $44 million in 2012. Is it just a bunch of hippies hanging out in the desert? How do people get around on The Playa? Due to the delicate nature of the Black Rock Desert as well as the dust levels, burners are asked to only use their vehicles to reach their campsite and either walk or use bicycles to get around following their arrival. What’s the deal with the 10 Principles of Burning Man? reflection of the community’s spirit and culture as it developed since the event’s founding. prerequisites exist for participation in our community. substitution of consumption for participatory experience. to others. In this spirit, the giver should respect the rights and liberties of the recipient. communication that support such interaction. with local, state and federal laws. invited to work. Everyone is invited to play. We make the world real through actions that open the heart. culture. We seek to overcome barriers that stand between us and a recognition of our inner selves, the reality of those around us, participation in society, and contact with a natural world exceeding human powers. No idea can substitute for this experience. Are you or someone you know attending Burning Man this year?